Are you planning a trip to the UK? Are you searching for different places to visit? Researching which locations to see and which ones to avoid can be rather difficult. For instances, there are several locations that you’ve undoubtedly heard of, but should you visit them? And why? The UK also offers attractions that wouldn’t necessarily be considered to be “prime” tourists attractions. Use the following list as a possible guide to planning your next vacation. Described as beautiful and elegant, this city was once a popular hangout for the English high society. Bath is also noted as being the only location to house Britain’s hot springs. Here, calming and healing waters are available by way of the original Roman Baths and the Thermal Bath Spa. Other great venues provided by the city of Bath (a UNESCO World Heritage Site!) include, but are not limited to: museums, notably the Building of Bath Collection, antique shops, markets, galleries such as the Victoria Art Gallery and architectural sights . Known as being a great place for a weekend escape, Edinburgh is believed to be one of the most striking destinations around. With an annual festival held in August, this city has much to offer, such as: a mix of modern and historic buildings, wonderful history, towering spires, museums, galleries, and more. Don’t miss out on the dramatic viewpoints that are sure to offer great glances of the elegant Georgian streets and Grecian edifices. 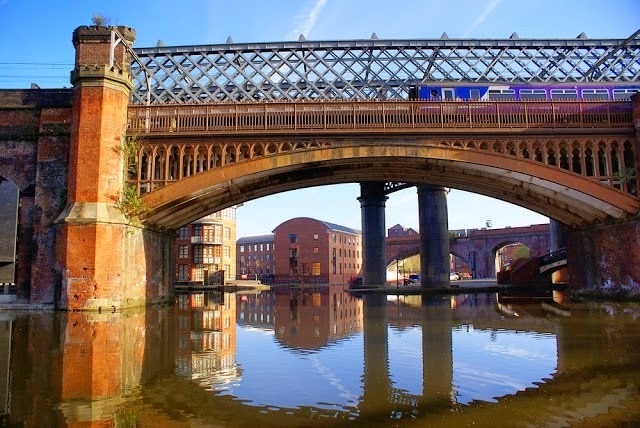 Have you considered visiting Manchester? This city is known for having a wide variety of styles when it comes to architecture. For instances, different styles that can be seen through the city include Victorian and contemporary. Skyscrapers can be seen, as well as the Manchester Town Hall, the CIS Tower, and the Beetham Tower. Finding a place a stay while in Manchester shouldn’t be an issue. There are plenty of venues and establishments to choose from, particularly the Manchester Crowne Plaza, which is conveniently located in the heart of Manchester. Though Cambridge may seem well known, it’s smaller and more charming than you may believe. The city has much to offer in way of history and universities. Specific spots to visit are the Gothic chapels, Tudor courtyards, and cobbled streets, which are perfect for cycling. It’s noted the Cambridge is a great place to visit during the winter, around Christmas time. More than just a place for academics, Cambridge is a beautiful city to explore. Who hasn’t heard of William Shakespeare? Stratford-upon-Avon is the birthplace of the famous writer. If you’re interested in the playwright or poet, then this is the place for you to visit. This city also offers great plays, if you’re interested in seeing a little bit of theatre. Other incentives to visiting Stratford-upon-Avon are the great restaurants, architecture, gardens, rivers, railway lines, and much more. Also, there is plenty of shopping that can be done. The United Kingdom offers plenty to see and do. Your own personal tastes and interests will determine where you end up. However, try and make a plan or map, so as to be able to see even more beautiful and underrated placed. There is truly something to see or do for everyone, no matter your age or what you’re in to. Jo Tumble is a UK travel Rep. Her articles mainly appear on travel blogs where she gets to share her UK travel stories.